Ontario Place - 955 Lakeshore Blvd. West. Add to Calendar 2018-11-29 2018-12-30 America/Toronto Aurora Winter Festival Come and feel the festive sprit at the Aurora Winter Festival. Enjoy a visit to the hidden village by the North Pole. See spectacular light displays and magical characters, shop at the market stalls, savour delicious treats at the food gardens, enjoy amusement rides, see live entertainment and so much more! There is guaranteed fun for everyone. This the the first of its kind in Toronto and is in partnership with the Canadian National Exhibition. Highlights include:* Outdoor skating on a pond* 50 Foot LED lit dome with flowing Aurora Lights* Santa's Workshop*Carnival Rides* Amazing Tube Pair with a 170 Foot slide covered with artificial snow at all times* Main Street like with over 50 Xmas - theme vendors Ontario Place - 955 Lakeshore Blvd. West. 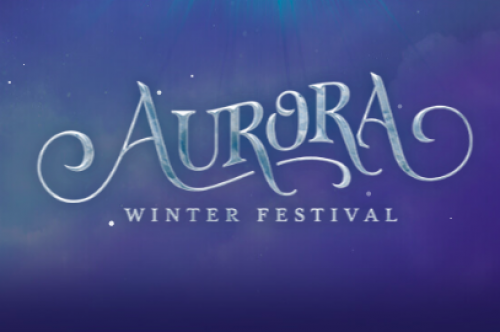 Come and feel the festive sprit at the Aurora Winter Festival. Enjoy a visit to the hidden village by the North Pole. See spectacular light displays and magical characters, shop at the market stalls, savour delicious treats at the food gardens, enjoy amusement rides, see live entertainment and so much more! There is guaranteed fun for everyone. This the the first of its kind in Toronto and is in partnership with the Canadian National Exhibition.